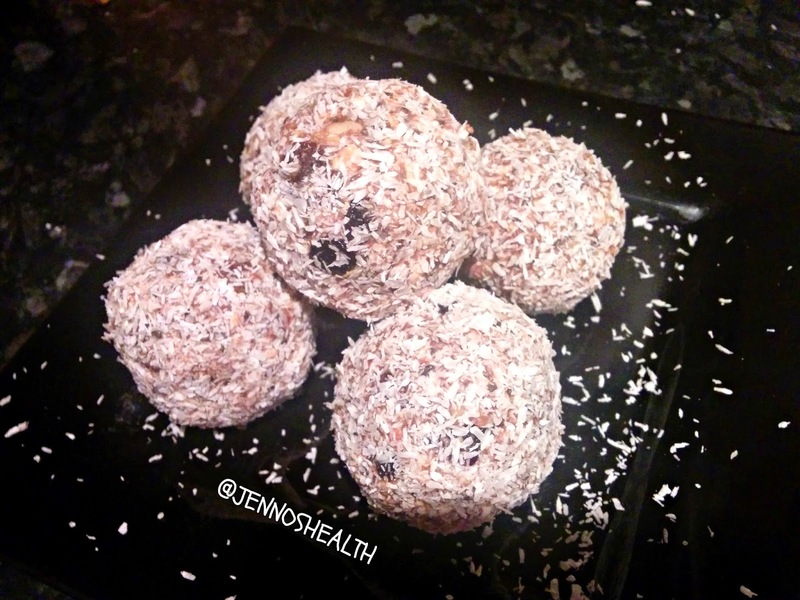 This ball of energy is the easiest recipe that is high in fibre and protein! It makes the perfect pre or post workout snack you can also have it on the go. I made five large sized protein balls. Mix all the ingredients adding the milk slowly. If it's too wet add more dry ingredients and vice versa. Wet your hands to prevent sticking. Roll into a ball and coat with coconut. Refrigerate or freeze!